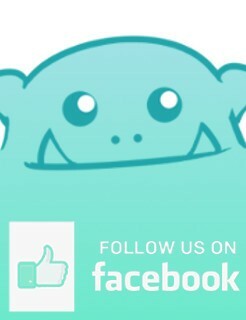 Welcome to our Tips & Tricks page. We hope you will find something useful here to make your gaming experience even better. Help keep your modular boards, cards and tiles in place using an inti-sliding mat for carpets. You can get a roll for about €3 in IKEA. Due to the length of the mat you can even cut it into pieces of different sizes and shapes, to fit different types of games. 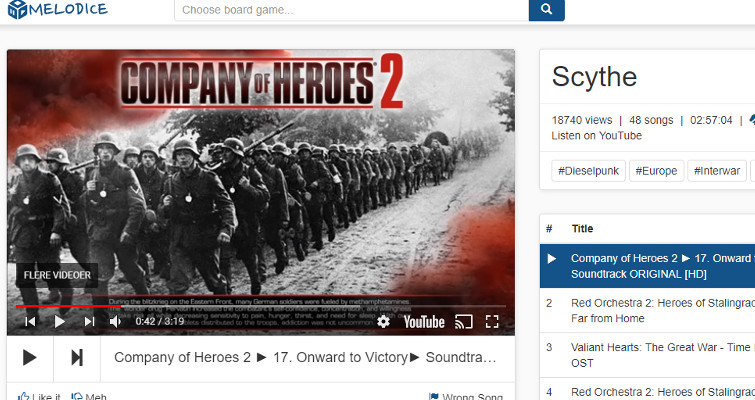 Get a playlist (sourced from Youtube) of music especially selected for that game. 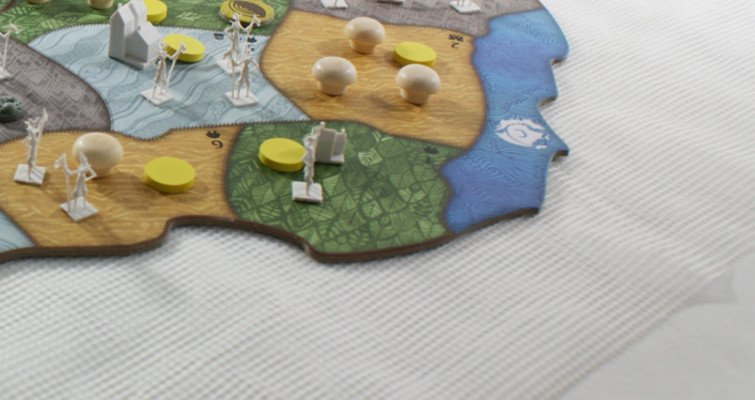 Most games come with game pieces in assorted player colors, which can be time-consuming to sort each time you play. Storing components by player color instead of type can save a lot of time for both setup and cleanup. Adding starting resources (if they are the same for all players) also makes it quicker to start the game, and can also be used as a reminder of what players start with. Cupcake casings are great for storing game components during gameplay. They don’t weigh much, take up little storage space when stacked, and you get plenty in a pack at a very affordable price. 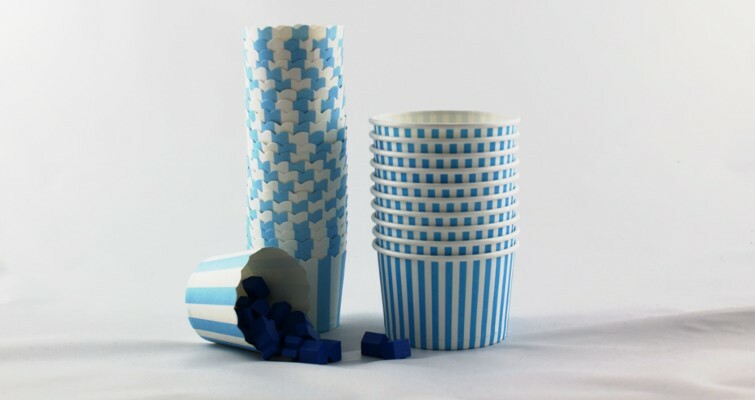 We recommend the type made from cardboard as it’s sturdier than ones made from paper. You can find these in most larger supermarkets, as well as shops which sell baking or kitchen goods. 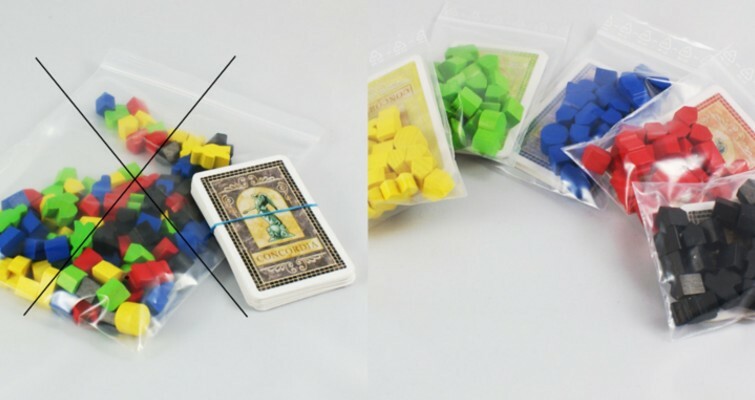 Matchstick boxes are also great for storing your components or cards in, both during and after a game, as they can often fit into the game box itself, saving you the trouble of having to transfer the components from bags into containers and back into the bags again when packing up. The boxes come in different sizes, which suit most component sizes and amounts. 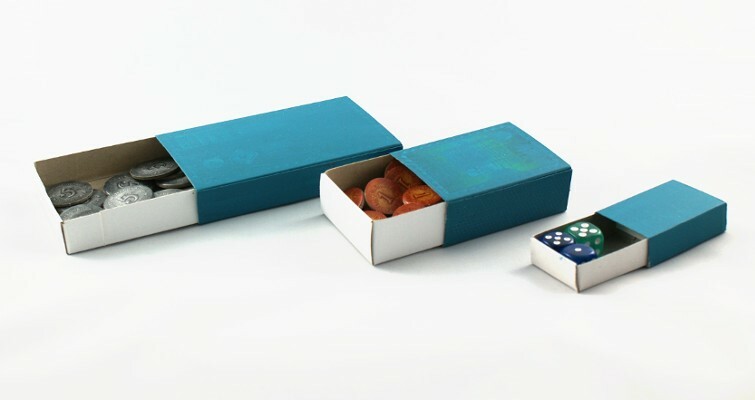 Larger matchstick boxes fit most standard sized cards (10X5CM). To make it easy to take from the container just cut a small piece from one side of the box. Another good use for matchstick boxes is storing dice. 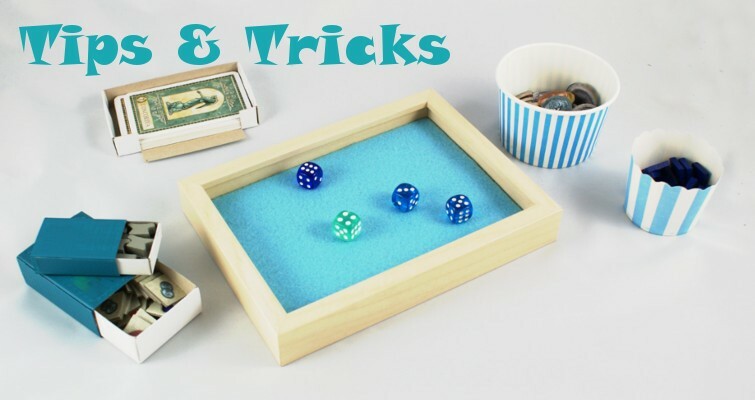 A medium or large box could even be used for storage and as a small dice tray. Perfect for travelling. For those with a creative touch, painting the boxes can be a fun little project and makes them look nicer. • A picture frame with a deep frame (1.5-2 cm hollow) as shown in the image below. Place the fabric onto a flat surface, and place the picture frame on top of the fabric. Cut alongside the picture frame to match the shape and size of the frame. Leave about half a centimeter extra fabric all around, to ensure the pattern will cover the base enough. 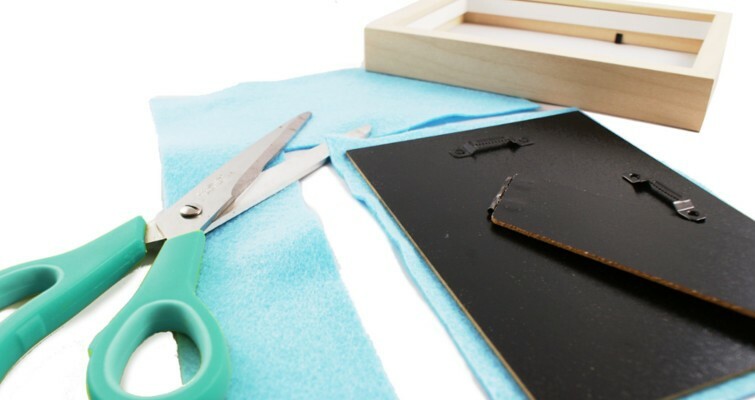 Remove the glass from the picture frame and place the felt inside, just as you would with a photo. Don’t add the glass back in. Close the picture frame up. 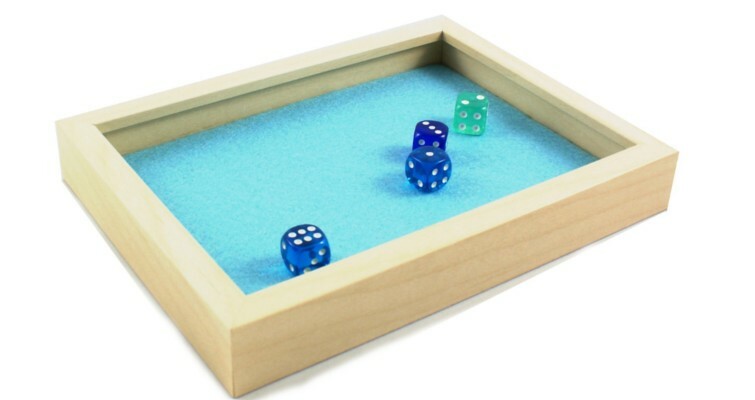 Your dice tray is ready to use!